Every other month, members of Animation Resources are given access to an exclusive Members Only Reference Pack. 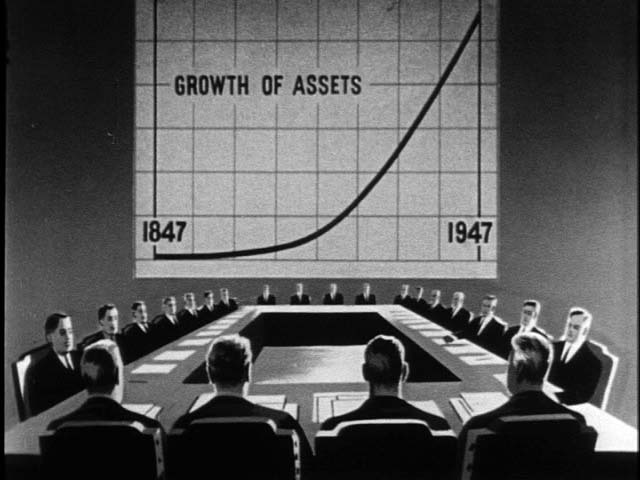 In March 2015, they were able to download this fantastic post-war industrial film. Our Reference Packs change every two months, so if you weren’t a member back then, you missed out on it. But you can still buy a copy of this great video in our E-Book and Video Store. Our downloadable DVD quality video files are specially selected from the collection of Animation Resources, and we also offer PDF e-books that are packed with high resolution images on a variety of educational subjects. If you aren’t a member yet, please consider JOINING ANIMATION RESOURCES. It’s well worth it. 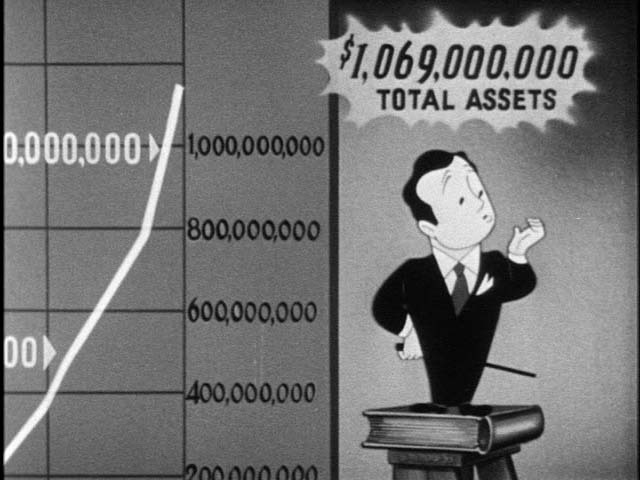 Continuing our series of rare industrial films by the Paul Fennell Studios, here is an animated film about the history of insurance in America. 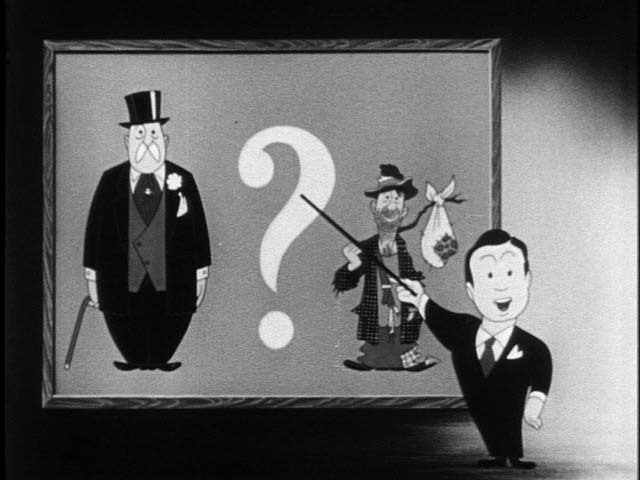 Fennell was insured by Penn Mutual, and he pitched his agent with the idea of doing an animated film for their annual report to stockholders. 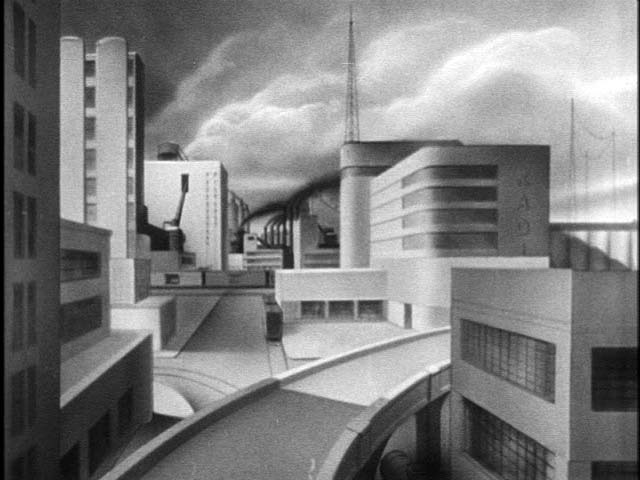 The company liked the idea, so Fennell quickly set up a studio and hired Ed Benedict away from Disney to do design and layout. 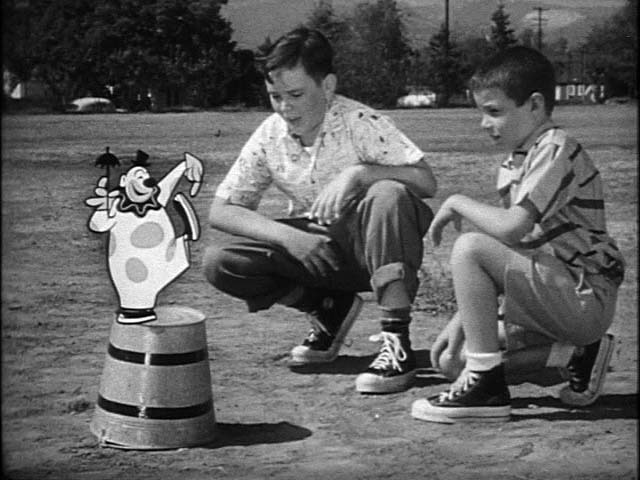 They continued to work together on commercials and industrial films until the late 1950s. This film does a good job of turning technical subjects that could easily become tedious into interesting and entertaining film action. 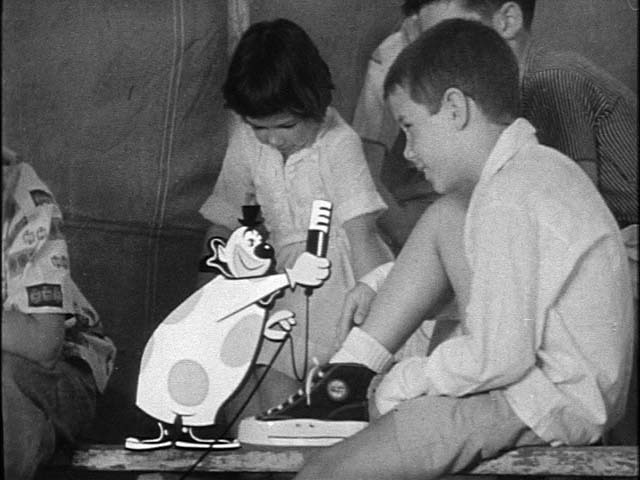 It displays Fennell’s experience producing instructional films for the government during WWII, and combined with Benedict’s clear, focused layouts, it is a perfect model of animation as an instructional medium. 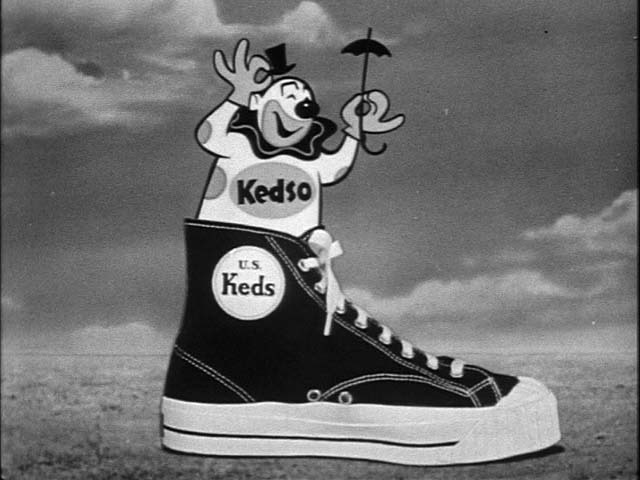 Video Store: DOWNLOAD A Fantastic Reel Of 1950s Keds Shoes Commercials! Every other month, members of Animation Resources are given access to an exclusive Members Only Reference Pack. 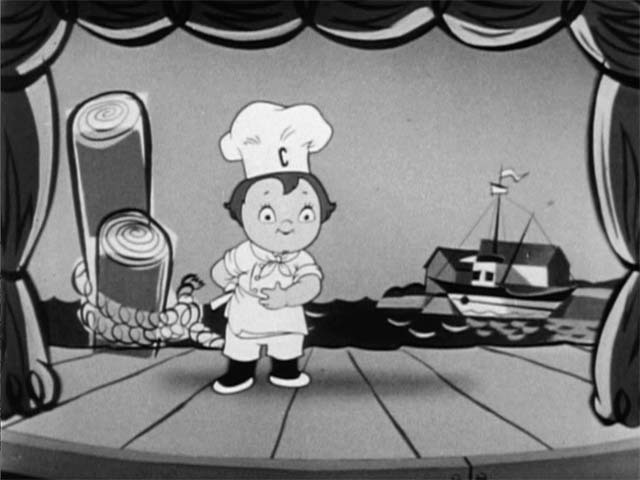 In March 2016, they were able to download this great reel of animated television commercials advertising Campbell’s Soup. Our Reference Packs change every two months, so if you weren’t a member back then, you missed out on it. But you can still buy a copy of this great video in our E-Book and Video Store. Our downloadable DVD quality video files are specially selected from the collection of Animation Resources, and we also offer PDF e-books that are packed with high resolution images on a variety of educational subjects. If you aren’t a member yet, please consider JOINING ANIMATION RESOURCES. It’s well worth it. This is our final commercial reel from the collection of Paul Fennell. Again, as time passes we can see a refinement of style and approach to the advertising pitch. 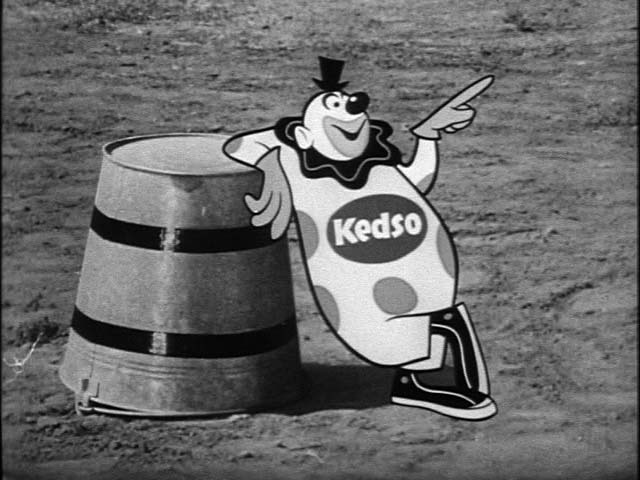 The early spots are clearly marketing the shoes as sports equipment, but the ads evolve first into a Mother Goose theme that appears to be designed to appeal to mothers, and later to a campaign featuring a character mascot, Kedso the Clown. 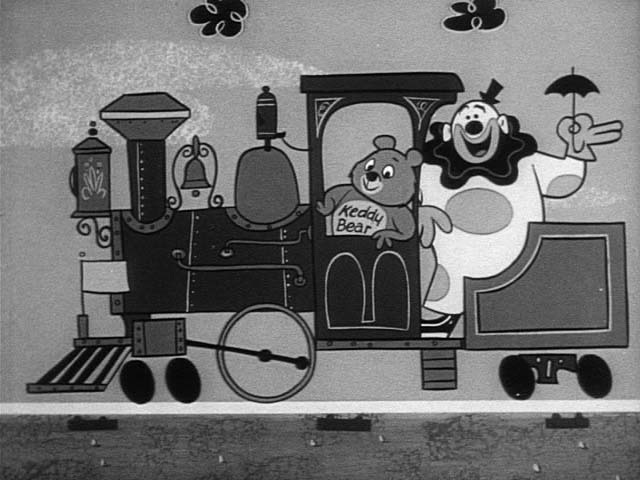 Voiced by children’s TV personality Pinkie Lee, the Kedso spots were very influential on the design of later television animation at Hanna-Barbera and other studios. We thank the family of Paul Fennell for sharing all of the wonderful commercial reels with us that we have been featuring over the past year. 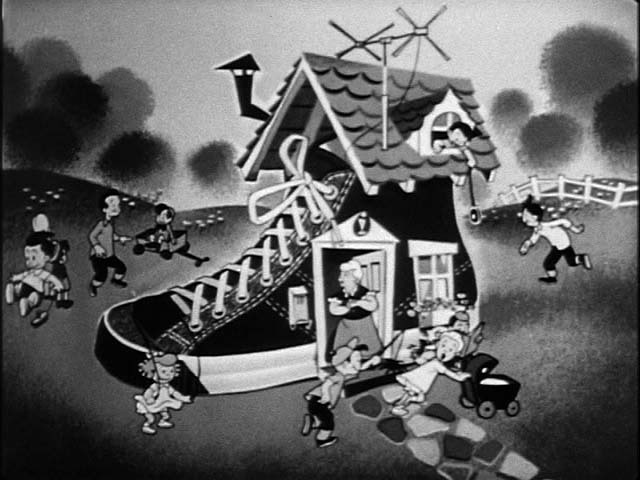 Posted in store | Comments Off on Video Store: DOWNLOAD A Fantastic Reel Of 1950s Keds Shoes Commercials! 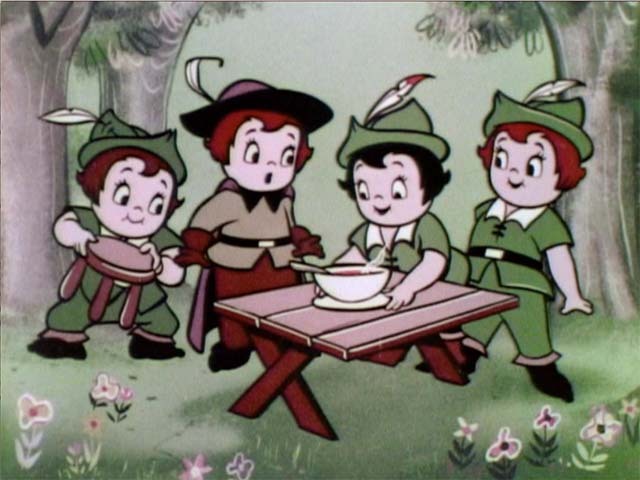 Video Store: DOWNLOAD An Early 50s Campbell’s Soup Reel! Every other month, members of Animation Resources are given access to an exclusive Members Only Reference Pack. 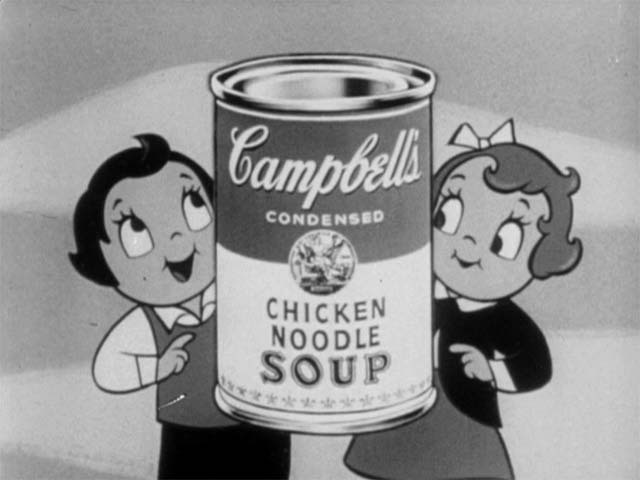 In November 2015, they were able to download this great reel of animated television commercials advertising Campbell’s Soup. Our Reference Packs change every two months, so if you weren’t a member back then, you missed out on it. But you can still buy a copy of this great video in our E-Book and Video Store. Our downloadable DVD quality video files are specially selected from the collection of Animation Resources, and we also offer PDF e-books that are packed with high resolution images on a variety of educational subjects. If you aren’t a member yet, please consider JOINING ANIMATION RESOURCES. It’s well worth it. 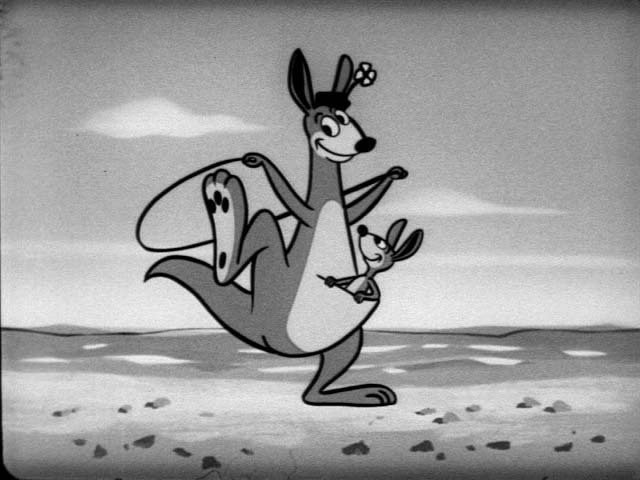 We continue our series of commercial reels from the Paul Fennell Studios with another great reel of commercials from the early days of television. This batch features the Campbells Kids in a variety of themes from old West to pirates to Pilgrims. 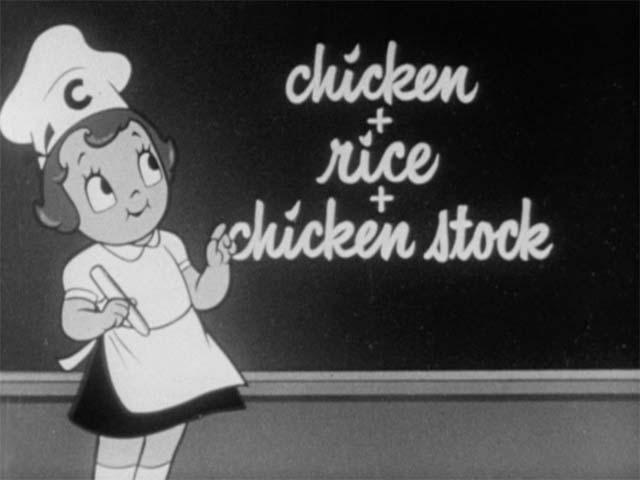 It may be a little off-putting to hear the same jingle over and over, but remember that these commercials were probably featured one at a time in a weekly television series, so original viewers wouldn’t be quite so overloaded with soup! 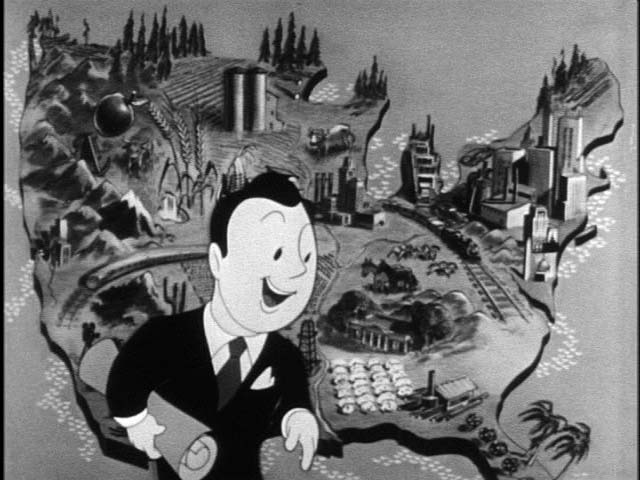 These commercials were directed by Paul Fennell and designed by Ed Benedict in the mid-1950s. 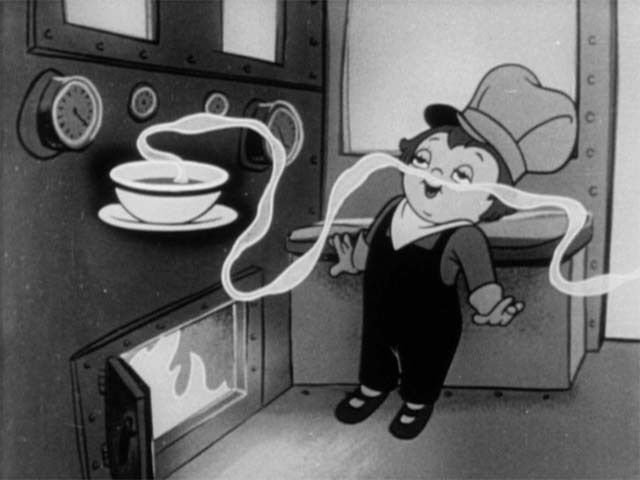 At the end of the reel is a surprise- a full color Campbells Soup commercial that may very likely be the first color animated television commercial ever aired. The first color TV broadcast was in 1951, but the technology didn’t become prevalent until the early 1960s. Throughout the 1950s, broadcasters dabbled in color but in October of 1954, the anthology program "Ford Theater" became the first series to air in color. My educated guess is that the color Campbells commercial was produced to air with that series. These rare commercials have not been seen since they originally aired, and we thank the family of Paul Fennell for sharing them with us. Posted in store | Comments Off on Video Store: DOWNLOAD An Early 50s Campbell’s Soup Reel!